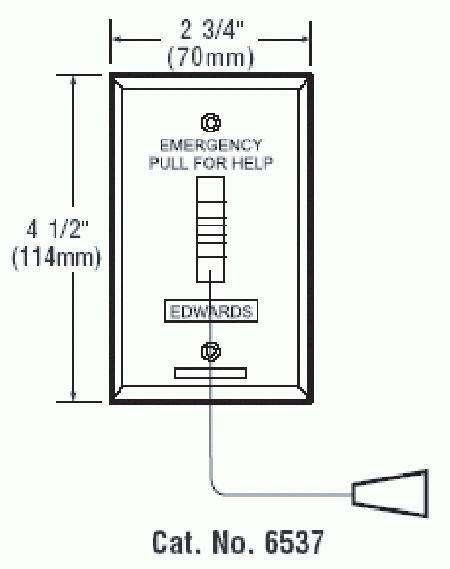 The Edwards 6537 pull cord switch provides emergency call activation. The call may be reset at the initiating switch. Cords are replaceable with a standard nylon cord. Designed for either flush or surface mounting. 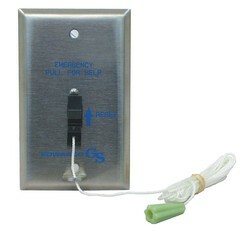 Unit fits in a standard single-gang electrical box and plaster cover. For surface mounting, use a Wiremold surface box. All boxes must have a minimum depth of 1 3/4" (44mm). Boxes and covers not supplied.